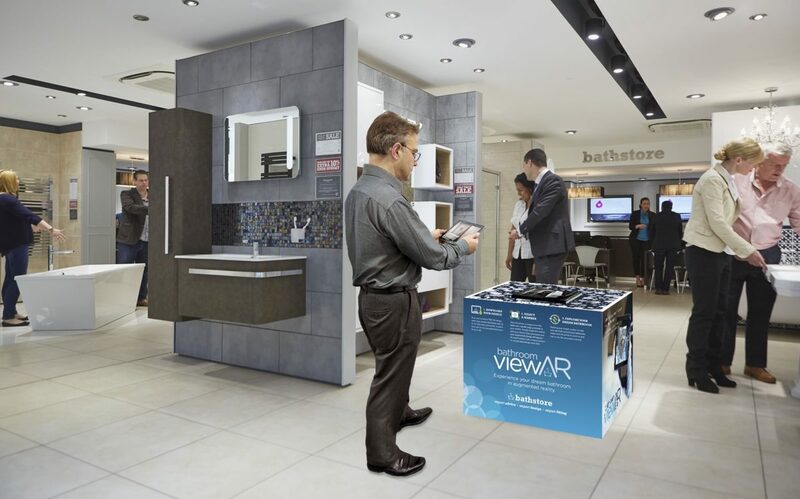 Bathstore leads the way in bathroom retailing with it’s newly launched augmented reality service. Developed in partnership with KBB CAD software specialist, Articad, the service lets customers “virtually” enter, walk around and explore their new bathroom design, enabling ideas and concepts to be fully visualised. This is done by letting customers use a Bathroom viewAR-enabled tablet and viewing 3D designs with the Pan360 room viewer. Augmented reality is one of the ways forward-thinking retailers are now using to create a shopping ‘experience’ for their customers. In an ever-more competitive and challenging retail landscape, offering an interactive element to shoppers which blurs the line between what is real and what is computer-generated allows consumers to immerse themselves in the brand experience and removes the hard-sell element of retailing.